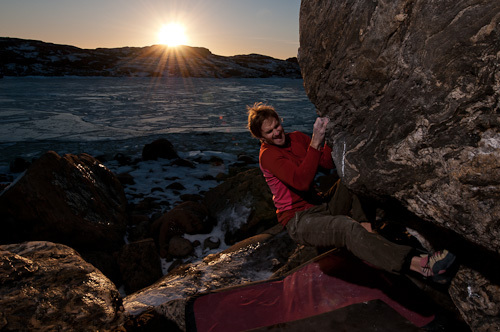 Winter climbing in Sweden can be frustrating cold, but on the very first day of the year we got a window of sunshine. 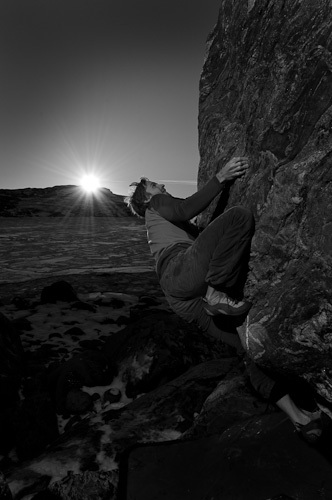 The winter here in Sweden is keeping its grip on us, forcing us to work on our plastic project most of the climbing days. But when there’s a window of sunshine we fight the cold. 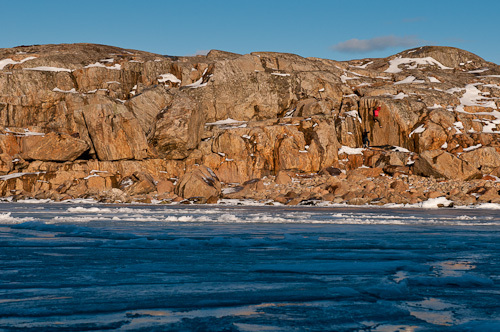 What is better than start 2011 with a bouldering session with some good friends in a stunning environment out on the island of Öckero, just outside of downtown Gothenburg. 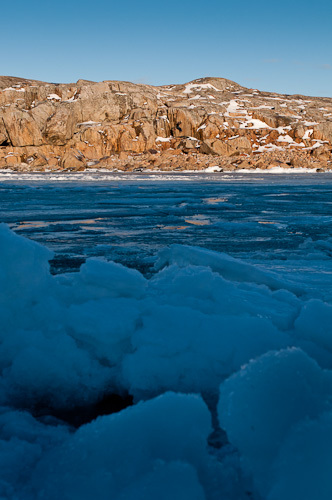 After only 30 minutes on the island I dipped both my feet in almost knee deep freezing water… The rest of the day was spent in climbing shoes.